In what may be one of the most peculiar phenomena of our time, cats and dogs are becoming more famous than people. 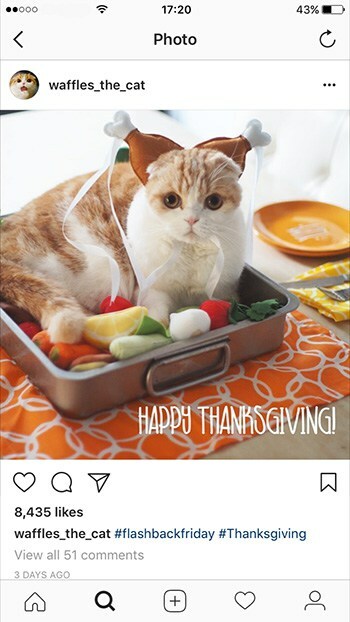 Instagram is overflowing with pictures and videos of cats from carefully curated channels which turn common pets into celebrities. These fluffballs attract thousands of followers and are a potential money spinner for their owners. This kind of status is not that new for cats if you take a look through history. In ancient Egypt, cats were worshipped as mythic symbols of divinity. It actually illegal to kill cats, although that may in part have been to keep down the rat population. When a family cat died, family members would shave off their eyebrows as they mourned. They also had elaborate memorials that included mummifying the cat and either burying it in the family tomb or pet cemetery. So basically, cats are pretty used to being adored. Having an Instagram famous pet is great for all kinds of reasons. Firstly, it can be an outlet for your creativity. 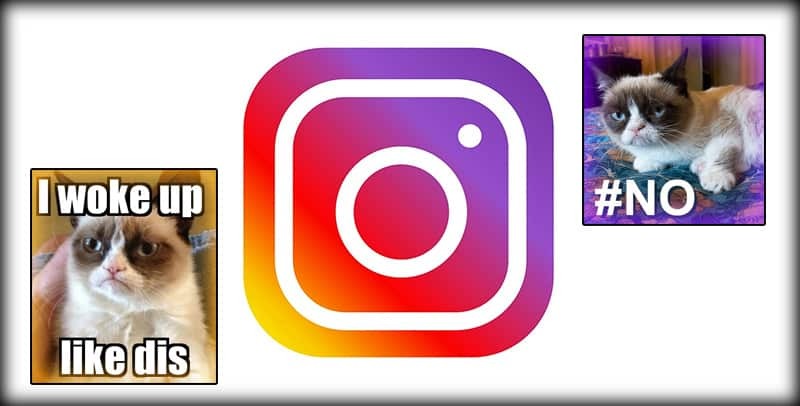 From captions to editing videos, to setting up photo shoots, creating an Instagram account for your pet is an opportunity to experiment with social media and unleash your creativity. The accounts that are the most successful tend to have a unique personality and imaginative content. Secondly, you could make some serious money if your Instagram channel attracts a lot of followers. You’ve probably heard of influencers- bloggers who are paid by brands to share their products on Instagram- but you may not realize that a lot of Insta-famous pets are benefitting from this new kind of marketing. Brands wishing to promote their pet products will pay to have them featured in photographs and videos, which means money for you and lots of catnip for your pet! Finally, having a famous pet could introduce you to all kinds of interesting people. For example, Doug the Pug (@itsdougthepub, 3 million(!) followers ) has met celebrities such as Katy Perry, Demi Lovato and Shakira. Your pet could become your ticket onto the red carpet! Making your cat Instagram famous unfortunately requires a bit more than sharing some grainy iPhone photos. There are a lot of cats out there and just as many owners trying to make them famous. That’s why we at Cats Are On Top decided to put together this guide to help you. 2. Work out your cat’s unique appeal. Your cat doesn’t have to be a pedigree, but they should look good in photographs. That means well-groomed and healthy. 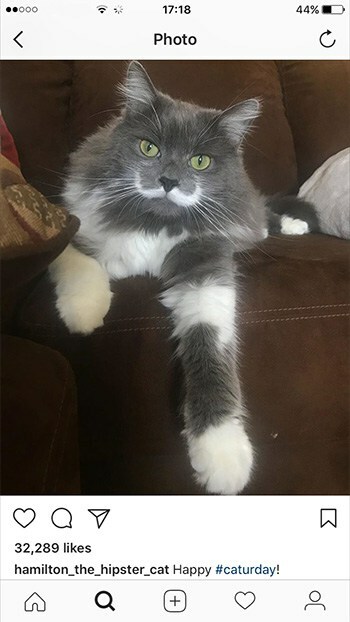 Cats with distinctive features also do well on Instagram, for example, Hamilton the Hipster Cat (@hamilton_the_hipster_cat, 770k followers) has white fur around his mouth forming the perfect moustache. People will love your cat for their distinctiveness. As much as it pains me to say this, nobody cares about seeing pictures of your cat doing the same things every other cat does. You need to find your cat’s niche- what sets them apart from the rest of the feline world. 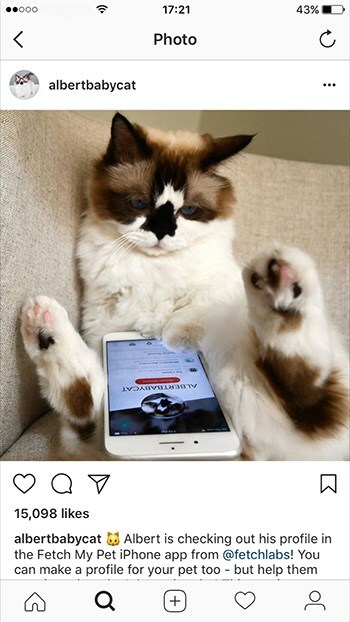 Grumpy Cat (@realgrumpycat, 2.4m followers) has generated a huge following who love seeing pictures of his permafrown in different settings and locations. Amelie and Canele (@riepoyonn, 90.7k followers) are two cats who love to cuddle up in their tiny cat bed together. Their videos get thousands of views every time. If your cat has a particular talent, great! If not, you need to think about the character you will portray them as. No matter how sweet your cat is, they’re probably not very interesting on their own. Once you’ve decided your niche, play around with costumes and Photoshop to highlight your cat’s individuality. Take advantage of any holidays (hyperlink to Halloween Costume article) or current affairs to get your cat dressed up. Hashtagging a photo with relevant tags allows you to access people who are interested in seeing photos like yours. Don’t hold back on the tags, you want to be visible in as many places as possible. If you’re worried about looking desperate in your captions, then post them as a comment as soon as you upload the photo. Show brands that you’re willing to collaborate by showcasing products that you already own for your pet. If your cat has a favorite toy get some high quality and fun photos of them playing with it. Tag the brand in the photo and write about how much your pet loves the product and why. This will encourage other brands to approach you for potential paid work. The most important way to make your cat Instagram famous is to really put a lot of effort into it. It’s a cat-eat-cat world out there and you’re up against some fierce competition. Whether you make or not, paw on heart we promise that you’ll have fun.